There's no one who can go away from the taste of mouth-watering smoked food. The food is enhanced with more authentic flavors when cooked with a pellet grill. 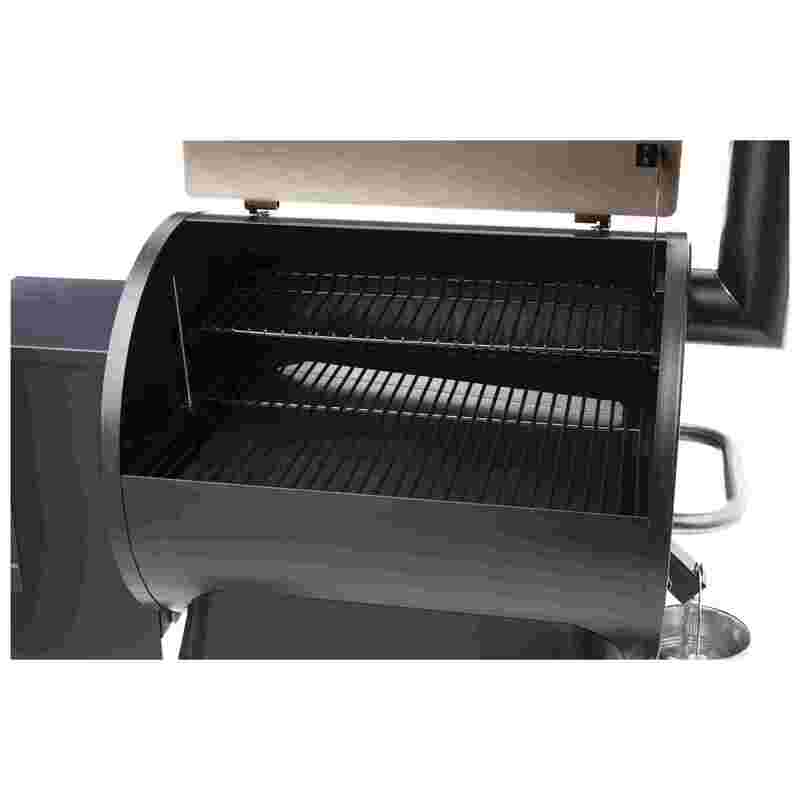 Traeger Pellet grills are one of the versatile grilling device available in the market. They allow users to bake, grill, smoke, roast, braise and even barbecue their yummy food. Here, in this article, we'll be having a detail look at one of those top performing pellet grills, called Traeger Pro Series 22 Wood Pellet Grill. This Traeger Pro Series 22 is an easy to use pellet grill that comes with simple controls and excellent features. This model is launched under a new series that has better temperature controls, advanced grilling features, and more precise cooking. 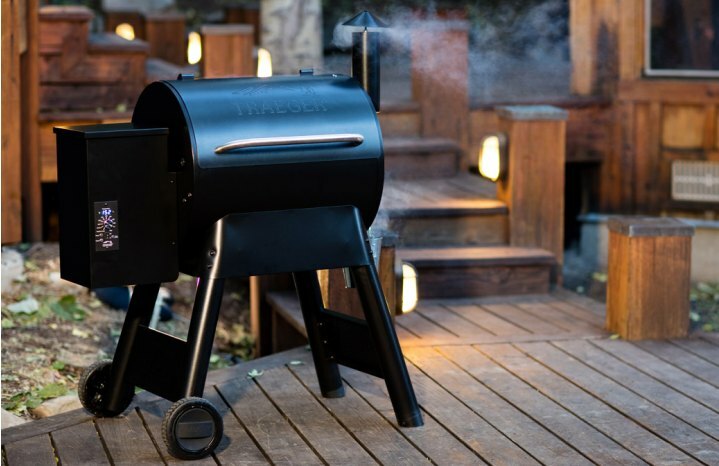 So if you're planning to impress your friends and family with delicious grilled food, then you must look ahead for this Traeger Pro Series 22 Review. In this article, we'll be describing this particular grill model. This is one of the most important factors that must be kept in mind while buying a new grill. Design of a gadget is something that describes the entire unit. And talking about Traeger TFB57PZBO pellet grill, it comes with a black finish along with rich bronze finish over the lid. The model has sawhorse chassis and a lift bar (side of the barrel) which allows users to move around the grill easily. It also has touch legs which provide more stability to the unit, when it's under working. While at the bottom, there are large all-terrain wheels present for smooth maneuverability and movement of the grill. These wheels are top requirements, as you can't lift the device to change its position. Although, the model has a great design and solid construction. It is one of the versatile grilling device available that allows users to bake, braise, smoke, grill, and perform other cooking activities. This grilling system features Digital Pro Controller with AGL that maintains the cooking temperature within +/- 15 degrees for more precise and accurate cooking. The grill has a Resistance Temperature Detector (RTD) probe that takes 60 temperature readings in a minute. There's also a bright blue LED panel present for displaying the interior temperature of the grill. Traeger grills also come with a dual meat probe that can provide you exact readings of two items simultaneously. You don't have to open the lid for monitoring the temperature. This Traeger Pro Series 22 is built with a stamped bronze lid and coated with steel powder. It provides a total of 20,000 BTUs of cooking power for perfect grilling. You'll be finding the main grilling rack and an extra grill (porcelain coated), both providing a total grilling area of 572 square inches. With this grilling size, you can easily prepare four chickens, 24 burgers, and five rib racks. It also comes with a large capacity 18 pounds hopper featuring a clean out for quick changing of smoke flavors. This model weighs 103 pounds and comes with the dimensions of 41 x 27 x 49 inches. The unit comes with a three-year-long warranty. 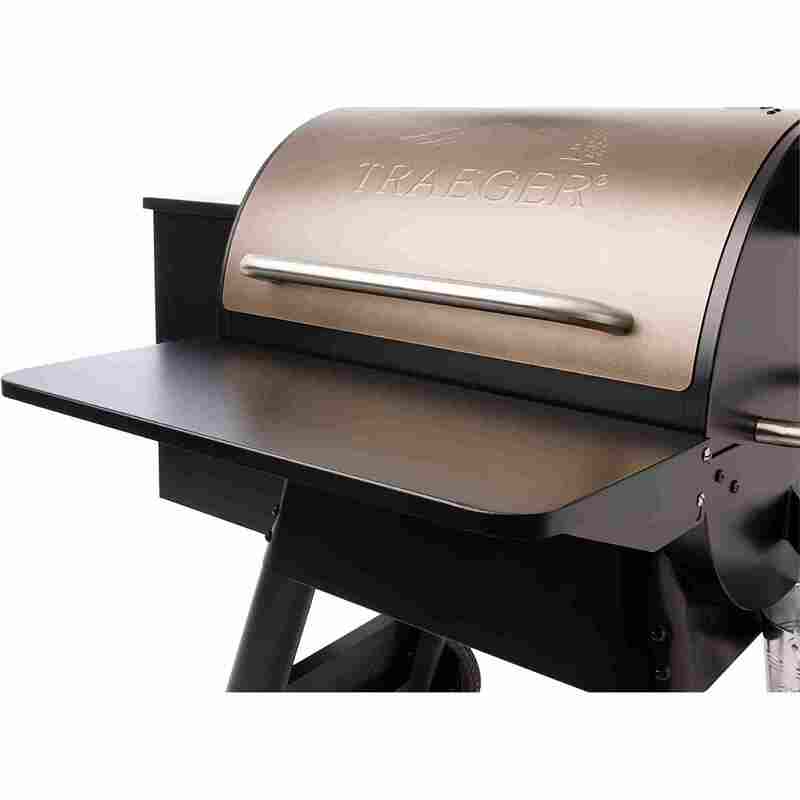 Moreover, Traeger is a well-known brand and has great consumer support and services. It comes with a total area of 572 square inches. It features Digital Pro Controller having advanced grilling logic for precise cooking. It is an energy efficient electric device that runs with a standard 110-volt outlet. Features an auto-start system for simple, safe, and convenient usage. Grill doesn't have proper internal insulation under the grates. For every smoked food lovers, pellet grill is a great device that can deliver delicious grilled food every time you demand. 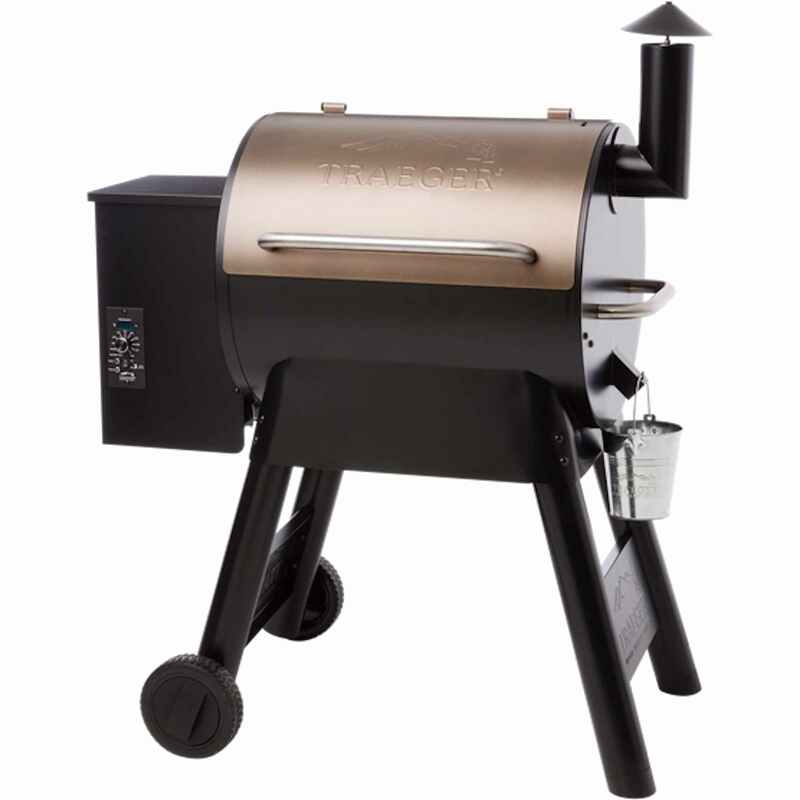 And whether it's quality, affordability, or durability, this Traeger Pro Series 22 is top choice pellet grill. The model is sturdy, and we've even seen that it maintains the temperature very well. It also includes meat probes, digital pro controller, and much more exciting and useful features. Overall, Traeger Pro Series 22 Wood Pellet Grill is a great grilling unit to buy.